"Who killed twenty-four-year-old Priscilla Hart? And why would anyone want to murder this idealistic American student who had come to India to volunteer in a women’s health programme? Was she the innocent victim of a riot between Hindus and Muslims? 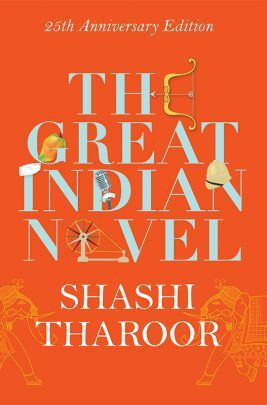 Shashi Tharoor experiments brilliantly with narrative form, chronicling the mystery of Priscilla Hart’s death through the often contradictory accounts of a dozen or more characters. 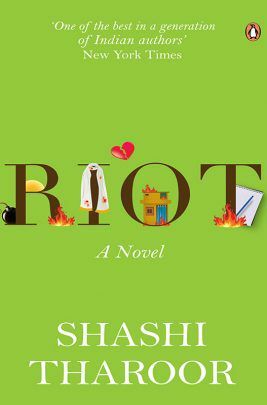 Intellectually provocative and emotionally charged, Riot is a novel about the ownership of history, about love, hate, cultural commission, religious fanaticism and the impossibility of knowing the truth." Reinventing yourself is harder when you don’t remember who you were Seventeen-year-old Kalindi wakes up in hospital with no recollection of how she got there. But that's not the only thing she doesn't remember: Her whole memory has been wiped clean. How? The doctors can only speculate. Kalindi doesn’t know what happened to her and—worse—she doesn’t know who she is. She enters her own life as if for the first time. Feeling like an invader, she meets her parents, friends and boyfriend. Everybody says her life was perfect, but she's having a hard time accepting who she was, and the kind of person she wanted to be. She’s also got boards to pass—but she doesn’t remember anything she learned! And the recurrent nightmares don't make it any easier. Nobody knows what happened to her. Can she have a peaceful present and future, without a past? Can she just live in the here and now? 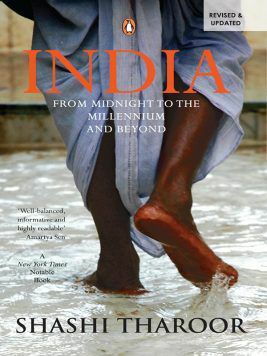 India: From Midnight to the Millennium and Beyond is an eloquent argument for the importance of India to the future of the industrialized world. 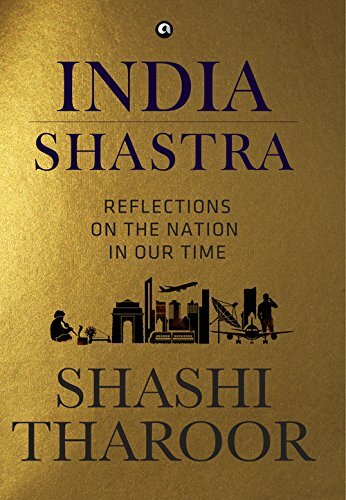 Shashi Tharoor shows compellingly that India stands at the intersection of the most significant questions facing the world today. If democracy leads to inefficient political infighting, should it be sacrificed in the interest of economic well-being? Does religious fundamentalism provide a way for countries in the developing world to assert their identity in the face of Western hegemony, or is there a case for pluralism and diversity amid cultural and religious traditions? Does the entry of Western consumer goods threaten a country's economic self-sufficiency, and is protectionism the only guarantee of independence? The answers to such questions will determine what the nature of our world is in the twenty-first century. 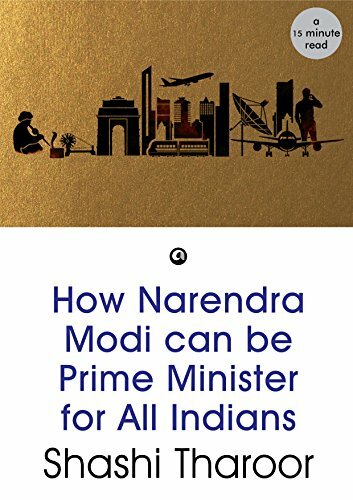 And since Indians account for almost one-sixth of the world's population today, their choices will resonate throughout the globe. 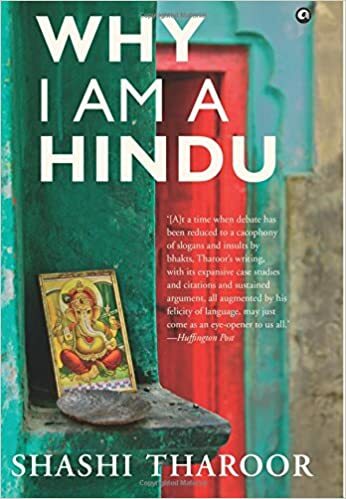 Shashi Tharoor deals with this vast theme in a work of remarkable depth and startling originality, combining elements of political scholarship, personal reflection, memoir, fiction, and polemic, all illuminated in vivid and compelling prose. Critically ill, Bollywood superstar Ashok Banjara lies suspended between life and death in a Bombay hospital, a prisoner of the technicolour film that plays inside his head. As if for the first time, he watches himself rise to the heights of the film world, and encounters again all the people he met and used along the way. 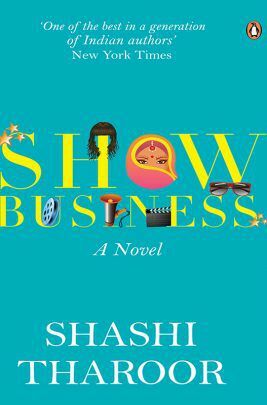 Show Business is many books rolled into one-a wonderfully funny tale about the romance and folly of cinema, a novel on an epic scale of ambition, greed, love, deception and death. It is a fable for our times, which teaches us that we live in a world where illusion is the only reality and nothing is what it seems. SHASHI THAROOR is the bestselling author of fourteen previous books, both fiction and non-fiction, besides being a noted critic and columnist, a former Under Secretary-General of the United Nations and a former Minister of State for Human Resource Development and Minister of State for External Affairs in the Government of India. He served 29 years at the United Nations, culminating as Under-Secretary under Secretary-General Kofi Annan’s leadership. As India’s official candidate to succeed Annan as UN Secretary-General, he emerged a strong second out of seven contenders. 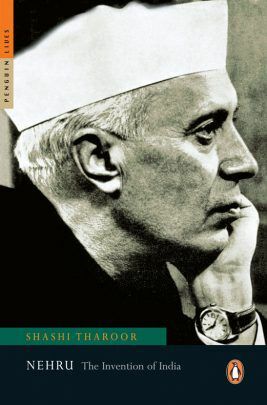 On returning to India he contested the 2009 elections on behalf of the Indian National Congress, and was elected to Parliament from Thiruvananthapuram. Re-elected in 2014, he chairs Parliament’s External Affairs Committee. 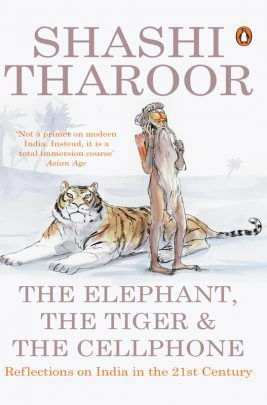 Shashi Tharoor’s books include the path-breaking satire The Great Indian Novel (1989), the classic India: From Midnight to the Millennium (1997) and most recently, the visionary Pax Indica: India and the World of the 21st Century (2012). He has won numerous literary awards, including a Commonwealth Writers’ Prize, was honoured as New Age Politician of the Year (2010) by NDTV, and pioneered among Indian politicians the use of Twitter, where he has over two and a half million followers, as of 2014. Dr Tharoor earned his Ph.D. at the Fletcher School of Law and Diplomacy at the age of 22, and was named by the World Economic Forum in Davos in 1998 as a Global Leader of Tomorrow. He was awarded the Pravasi Bharatiya Samman, India’s highest honour for overseas Indians. Shashi Tharoor began reading books"Enid Blyton's Noddy series"when he was three. By the time he was ten, he had published his first work of fiction, Operation Bellows, a credulity-stretching saga of an Anglo-Indian fighter pilot. In between were years when he read a book a day. 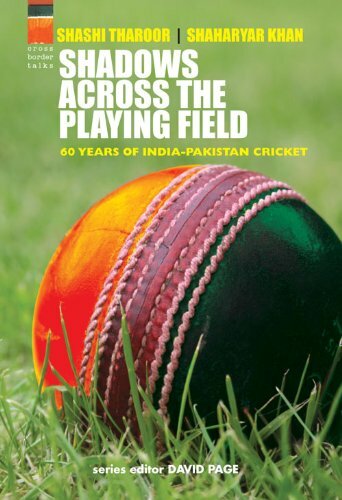 And in the years since, he has published eight books and written for many Indian and foreign publications. 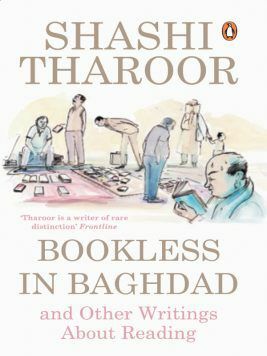 Bookless in Baghdad brings together pieces written over the past decade by this compulsive reader and prolific writer on the subject closest to his heart: reading. 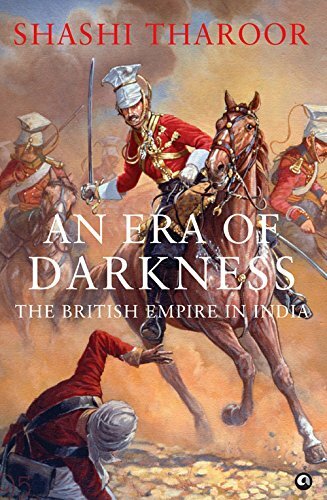 In these essays on books, authors, reviews, critics, literary festivals, literary aspirants, Empire, and India, Tharoor takes us on a delightful journey of discovery. He wanders the -book souk' in a Baghdad under sanctions where the middle-class are selling their volumes so that they can afford to live; analyses the Indianness of Salman Rushdie; discusses P.G. Wodehouse's enduring popularity in India; and drives around Huesca looking to pay an idiosyncratic tribute to George Orwell. 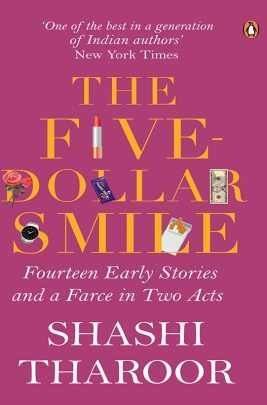 There are excursions into the pitfalls of reviewing, explorations of the -anxiety of audience' of Indian English writers, and a wicked account of how Norman Mailer dealt with a negative review.